In case you haven’t heard, I’m being published by Orbit, a subsidiary of Hachett, one of the traditional big six New York publishers. Currently most people know me as an ebook success story because that’s where most of my books were sold. Ebooks made my career, but I still love bookstores. I bet you’d be hard-pressed to find an author who doesn’t. When I was first published, the small press who put out The Crown Conspiracy set me up with quite a few bookstore signings. Once I switched to print-on-demand this became more difficult and over the years I saw a shift in the mentality of many of the large chains and how they handled author’s events. Even though the store managers at Borders loved the number of books I sold at each signing, they had to stop booking me because corporate handed down an edict restricting author signings. Many of the Barnes and Noble’s I used to sign at have remodeled, adding more shelves, and now have no space for author signings. 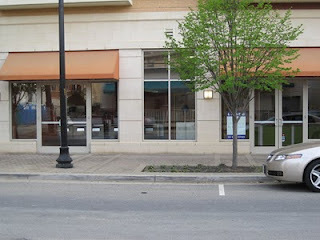 Not only could I not do my Orbit book launch at the store that launched the series, they also evicted my weekly writing group that met there for three years. This has started me speculating on the future of bookstores. I think a lot of people have been doing that, mostly people in bookstores. I find this trend of big chains to increase the number of books in their stores at the expense of services, a bit of an odd strategy. What brick and mortar store can expect to offer a better selection than a virtual one? I’ve been to some awfully big bookstores, four-story behemoths and I find they almost never carry most of the titles I’m interested in—the ones I’ve seen reviewed online—the ones by independent authors. No matter how big the store, the selection of books are always the same. The same genres, the same authors. The new cutting-edge writers, who are breaking new ground, are missing from those shelves and, I expect, always will be. There are simply too many books being published each year for a physical store to house. Trying to keep up with a virtual store in a battle of selection is like bringing a knife to a nuclear war. The one advantage a book store has over a virtual space is community interaction and the undeniable fact that people like being in bookstores. They enjoy going to them. They prefer the warm, bookish atmosphere that’s like a library without any priggish rules. Unlike any other kind of store, you can usually get a cup of coffee, relax in a cushion chair, and spend all day sampling their wares. You can chat with employees about the new releases like kids do about new games or movies. And everyone can find something they enjoy, something that appeals to them, that they can get lost in. Given this, I have to wonder why corporate managers are choosing to stuff their stores so full of books that there’s no longer room for customers? The Theft of Swords book release is coming up, and I wanted to have a party at a local store. As I mentioned, where I originally launched the series now can’t accommodate an author event. I was wondering where I might hold the party—or if I would even have one. To my surprise I received an email out of the blue from someone who works at a store called One More Page. Hi Michael! 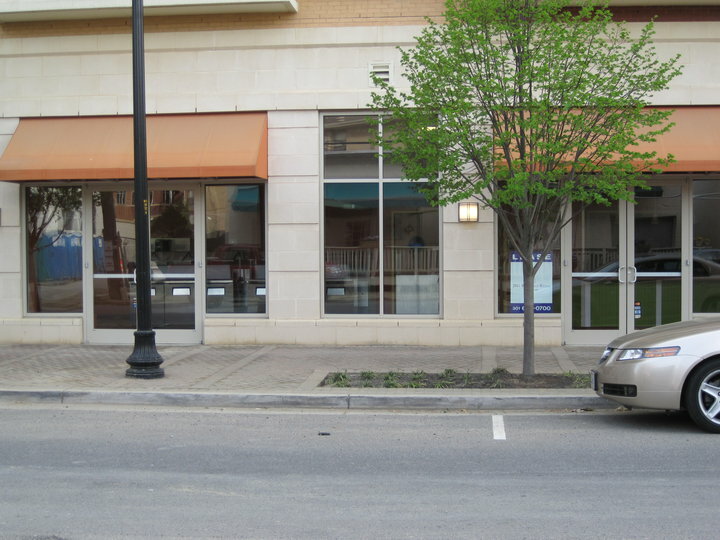 We are a new independent bookstore in Arlington--we opened in mid-January. A friend of store-owner Eileen McGervey forwarded to us a message you sent out in February about your new publishing deal with Orbit Books. Please keep us in mind when you hit the road and start doing press and promotional tours. We're just in your back yard, and we'd love to host you for an event, or sell books for you at any local off-site events. Of course, with this deal, you're probably getting ready to move to New York! In any case, congratulations, and thanks for letting me introduce our nifty little bookstore. I could really relate to your invocation of "the little indie that could"! A bookstore wrote to me? A bookstore contacted me and just threw their arms wide and invited me to hold whatever! I had never heard of One More Page, but that was certainly about to change. Robin and I accepted an invitation by Terry Nebeker, whose intriguing title is, Author Whisperer, and rode over to this little bookstore hidden away on a business side street off of Washington Street, in Falls Church, Virginia. It is not a big place and its brand new—they opened this year. I had to ask myself who opens a bookstore in 2011, the year of the ebook? The year that killed Borders? It’s like deciding that this is the time to invest in Wall Street. It turns out a woman by the name of Eileen McGervey did. 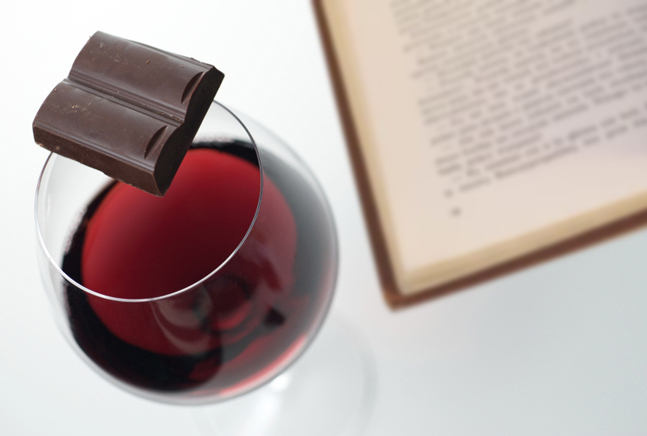 A former marketing executive, Eileen apparently left that world to do something she felt she would enjoy more, something that would allow her time with her family—a world of wine, chocolate, and books. I’ve yet to meet Eileen, but I already envision her as a Willie Wonka of the literary world. Her store is a beautiful, quaint place with a few soft chairs, and plenty of books, but also plenty of space. Best off all, in some incredible, high-tech coup that has clearly taken all the other bookstores by surprise, One More Page has managed to invent the wheel. Okay, maybe they didn’t invent the wheel, but they put them on the bottoms of the book display shelves so they can be wheeled out of the way for such things as book signings, and writers, and readers groups. This astounding advance in bookstore engineering has allowed them to do the impossible. In a space smaller than a chain store’s coffee shop, they have created a retail space that can also allow for community events. And they are making use of this. Their website has a schedule of events, and not just a once a week children’s story time, common to most stores and libraries. They have book club meetings, chocolate and wine tasting, author events, readings, discussions, critics-in-residence, baseball night, writer’s groups, and…yes, children’s story time. Their schedule is—pun intended—booked. And while they don’t have a coffee shop in the store—they have a whole café right across the tiny side street. Will they be able to compete with the big stores on the block? With Amazon? Obviously not on their playing field. Yet I don’t think that’s their plan. Instead of trying to offer as many books as possible, One More Page offers a limited selection, but it appears to be a carefully chosen one. These are people who read. Their book buyer is Katie Fransen a grad student with a voracious appetite for books. How voracious? When I walked into their store and we were introduced for the first time—she knew me, and my books. That’s never happened before. Usually, when I tell people I’m an author they ask, “Write anything I’d know?” to which I laugh and shake my head. But she knew about Riyria. She was a living breathing, female version of Myron Lanaklin. Looking around at the moveable shelves, at the signs on the walls announcing dozens of up-coming events, listening to the passionate conversations the staff held with a constant stream of customers, hearing them instill a giggly exhilaration in others about the promise of a new book release, I had one thought running through my head—this is the future of bookstores. This is the place you can go to ask what you should be reading next. This is the friendly face you can trust to know what you like, to even set aside a copy for the next time you wander in. This is your own personal library, cared for by a staff who don’t demand a weekly pay check from you, just the price of a book, a glass of wine, or a bit of chocolate now and then—and who can’t appreciate something sweet and wonderful now and then. And just to be clear, no one at One More Page has any idea I’ve written this post, and probably won’t ever know, unless their in-house-Hermione-Granger, Katie Fransen, also reads my blog, but that might be beyond even her powers. That's too bad about the Barnes and Noble there. I just booked my first author signing with them. As an indie author, it wasn't easy to get. With my paperback being POD and non returnable, I had to do a lot of sweet talking to make it happen. Thanks for the heads up, I live and work in Falls Church, so I suspect this will be a new hang out for me. One More Page is doing that the bigger chains should have been doing all along ... this is why independents like One More Page and Politics and Prose will survive when Borders didn't. Selection doesn't really matter when they can order what you want and you don't have to make an extra trip to pick it up since you'll already be there for another event. People don't want to order titles through storefronts like B&N (and the late Borders) because they'd most likely have to make a special trip to pick it up. 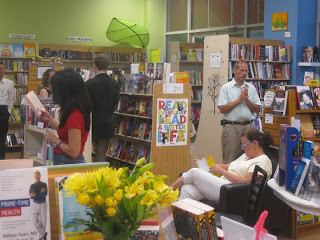 And in-person events are smart to get people in the door - if I'm coming to a store for a reading or other event, I'm guaranteed to buy at least one book while I'm there. I enjoyed reading this post. You've just made me wish I lived closer to One More Page (than in Wisconsin).